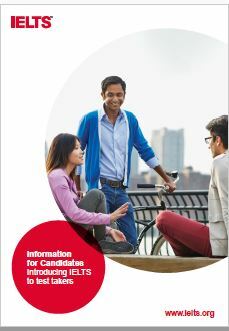 The IELTS tests come in two versions: IELTS Academic or General Training. Test takers can choose either version according to their educational and professional goals as well as any visa requirements. Both versions comprise four separate sections that assess each of the four language skills – listening, reading, writing and speaking. IELTS Academic measures English language proficiency needed for an academic, higher learning environment. The tasks and texts are accessible to anyone, irrespective of your subject focus. The Academic format is, broadly speaking, for those who want to study or train in a university that teaches in English at undergraduate or postgraduate level, or institutions of higher and further education. Many professions (e.g. medical, nursing, accounting, engineering) also require an Academic test result for registration purposes in many countries. See our Test Dates and Locations page for availability. It is the responsibility of the candidate to inform the Test Centre whether they wish to take the Academic or General Training Modules. Test Centres are not responsible for providing this information. The General Training module is not offered at all test administrations.